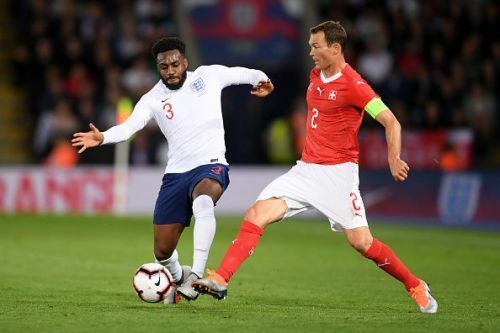 It looked like the Three Lions had contracted the same disease of complacency that plagued the elders as they put on a show of lifeless, garden-variety football against the Swiss in the first half. The England football team that's riding on the back of their stellar showing at the World Cup surely let their fans down after the first half. However, they improved in the second and snatched the win thanks to a Marcus Rashford strike. It now looks like it wasn't just us spectators that were disgruntled after that dire first-half performance. “We were outplayed. It was a bit embarrassing. We could have been two or three down. It’s great we can all shout at each other and tell each other it’s not good enough. "There were a few words spoken between the boys at half time. The gaffer has had a stern word with us. However, there is nothing to worry about. A healthy environment where there are no egos and a scene where players can air their frustrations and make their cases is crucial to the development of any team. “I wasn't in there at that moment. We always give them the first three or four minutes to themselves. They were frustrated the first half. I always knew that was a risk. “We always encourage them to have a voice. It's important they feel close enough that they can get on to each other. Then we have to make sure that doesn't boil over. But it was quite calm by the time we got in there." It looks like the connection between the English players is helping them on the field as England went on to secure a much-needed win in the second half.